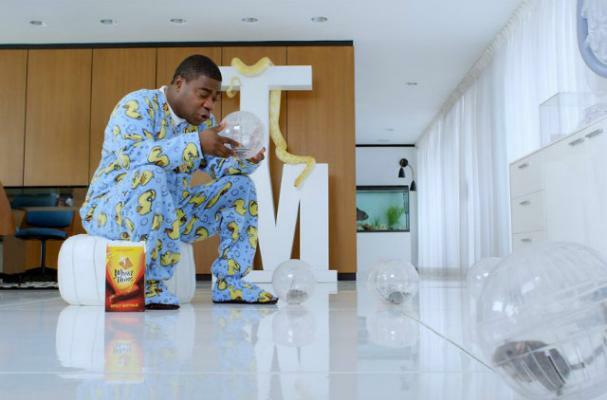 Tracy Morgan dons a onesie and plays with gerbils in the latest ad for Wheat Thins. "Meet Tracy Morgan. He knows gerbils can be great conversationalists, and he especially likes to shoot the breeze with new Spicy Buffalo Wheat Thins -- the salty snack that helps fuel your day to 'Do what you do,'" a caption for the commercial reads. Check out Tracy Morgan in the Wheat Thins commercial below!